We are proud to present one of the most anticipated releases for fall/winter 2010. 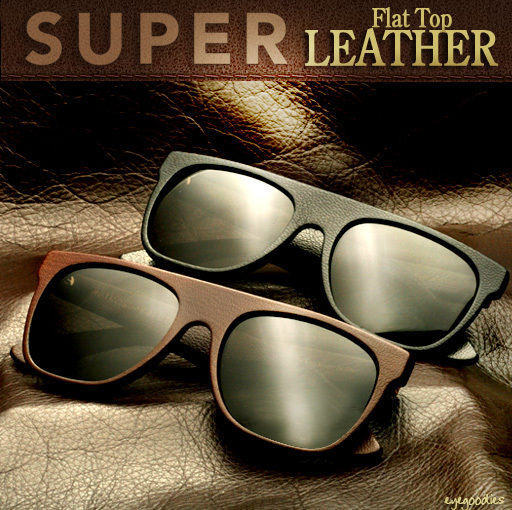 The new limited edition Retro Super Future Leather Flat Top Sunglasses. Super took their instant classic Flat Top sunglasses, and had artisans meticulously wrap them in butter soft Italian leather. Offered in tan, brown, and black they go perfectly with fall wardrobes. While they might not be suited as everyday beaters, these hand crafted limited edition shades make for a unique addition to any sunglass collection. 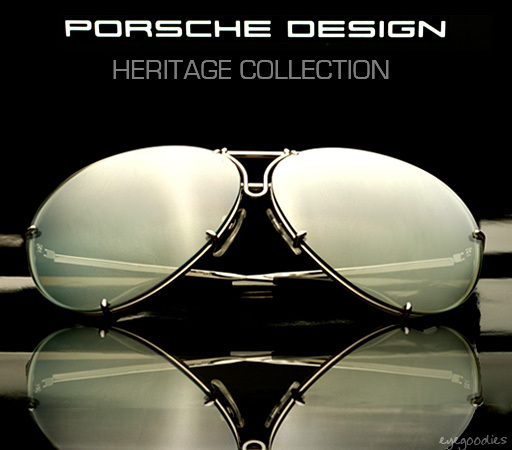 Eyegoodies is proud to welcome to the site Porsche Design sunglasses Hertiage Collection. The Porsche Design Studio was established in 1972 by Professor Ferdinand Alexander Porsche, grandson of the Porsche founder and designer of the famed Porsche 911. The Studio has become world renowned for designing a wide range of innovative luxury products with immaculate craftsmanship, state of the art technology, and made from the absolute highest quality materials that all adhere to the same clear functionality of form. Porsche Design is responsible for some of the most iconic sunglasses ever made, seen on a who’s who list from the rich and famous to the infamous during the 1970’s and 80’s. To pay tribute to the most groundbreaking models in their history Porsche Design Eyewear has released their “Heritage Collection”. The new collection re-issues the most notable of their sunglasses but revamps them for the 21st century. The same iconic styles that went out of production years ago are back with a serious upgrade in materials such as super light weight and strong, anti-corrosive titanium, as well as light weight shatter proof polycarbonate lenses back coated with a multi-layered premium anti-reflective coating.